Happy Friday! We made it to the end of the week. Finally! I'm sharing what I have been up to/thinking about/enjoying lately. 1. Grove Collaborative - I have been on the hunt for a website that has alllllll my favorite natural products and this one seems to be it. My local supermarket doesn't carry all this, so I am pumped to have access to natural cleaning products, vitamins, etc, instead of always ordering them from 500 different companies online or stopping by my local Whole Foods and spending all my money. Have you guys heard about this website? The prices are great! If interested, you can check it out here. Right now they are doing an awesome promotion (free Mrs. Meyer's products and cleaning caddy!) for new members, so go check it out! 2. Banished on BBC - I have been in a TV slump this summer; however, I am really liking this show on Amazon Video. I really enjoy most of the shows on the BBC and I love the historical context of this show. It take place on Australia when it was a penal colony. It reminds me a bit of Jamestown on PBS. 3. 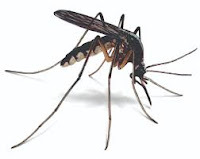 Bug Spray - What's your favorite all-natural bug spray? The Honest Company had this fantastic bug spray that actually worked for me, but they have discontinued it. Since then, I have tried 1,000 different natural bug sprays that haven't worked in the least bit. I am still getting destroyed outside with my kids. I really don't want to resort to anything with DEET. Do you guys have a good recommendation for me? 4. 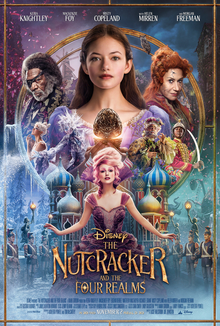 Disney's The Nutcracker and the Four Realms - I love all things The Nutcracker, so I am so excited for this movie. Did you guys see the trailer yet? It looks awesome! Let me know what you think. 5. Beach Reads - Which book is your favorite beach read of the summer? 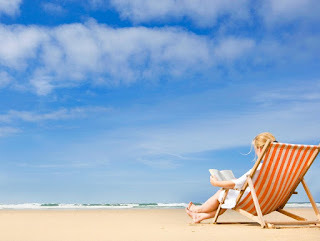 I am still reading beach reads and probably will straight through September, but if I had to choose at this moment I would save Save the Date by Morgan Matson as my YA pick and The Summer Wives by Beatriz Williams or The Secret to Southern Charm by Kristy Woodson Harvey as my Adult Fiction pick. What would you guys pick? 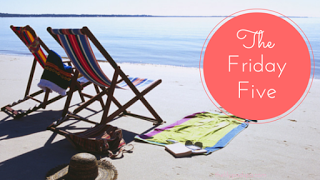 I just finished The Summer Wives - perfect beach read! I agree! I really enjoyed it! I'm glad you did too. Thanks for visiting, Angela.